And Yes, we’ll still have the 2 -4-1 wine & free gourmet popcorn! It’s Homecoming! So Saturday is the wildin’ for respect day! Join me at WKND HANGSUITE for a dope time. I’m definitely playing Shawty LO! R&B All NIGHT & 2-4-1 Wine + Free Gourmet Popcorn! Get ready for another Sunday Funday celebrating the first Titans home game! Get your tickets here for the private location & more to come from Meaning of the Best. What do you get when you mix a love of art, trap music and a great time with your homegirls? In this case, Trap N Paint! 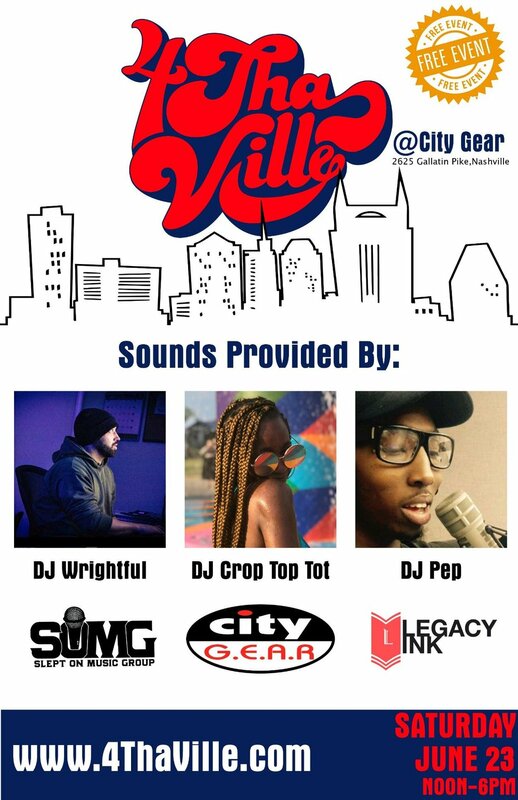 Join me this Friday, May 25 in Nashville for Trap N Paint. You're going to dance the entire time, eat good food and create artwork to put in your home. So excited! When it comes to expressing yourself creatively I'm so here for it! In this case I'll be providing the tunes for a great night in Nashville. Providing the vibes for the newest edition to Nashville, Lavo Lounge this Friday! Hosted By AfrikJams & the lovely GlamGoddess615. Noise Magazine is always fun to work with. Besides curating a dope mixtape series with the crew, I'll be providing some tunes and vibes alongside DJ ShowMeState in collaboration with clothing brand Humble Days. Be there and get your tickets here! Super excited to be DJ'ing for the lovely Doja Cat and my favorite Kiya Lacey; alongside Cherele! Get your tickets now! Because with the four of us, it's going to be LIT & Beautiful! For the love of basketball! Curating the vibes and tunes for the ultimate photo gallery by Fred Daniels better known JustxFred.